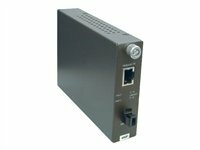 The TFC-1000S60D3 Bi-Directional Intelligent Fiber Converter works with the TFC-1600 chassis system or as a standalone unit. 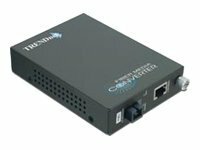 This converter is a Dual Wavelength Single Mode SC-Type fiber converter that supports port-based SNMP reporting and spans distances up to 60 km (37.3 miles). 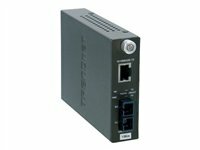 This module must be used with the TFC-1000S60D5 module. 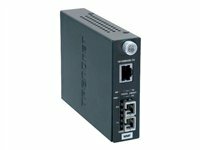 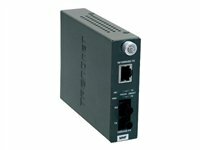 Ports include 1 x 1000Base-T (RJ-45) port and 1 x 1000Base-LX (SC Simplex Type) port.